I have to admit that I love Salami and Chorizo and Kransky and all manner of small goods. I don’t often use or serve them as much as I’d like because of the amount of saturated fat that is is involved. And you know me by now, I’d prefer to save some calories so that I can slip in some sugar and other forms of saturated fat at dessert time. But, last week I found out there is an alternative. This crispy crunchy sweet, salty , spicy salad is made with a new type of small goods. I was introduced to an Australian company,Oliving by Hans making smallgoods with Extra Virgin Olive Oil. That’s a really good idea. 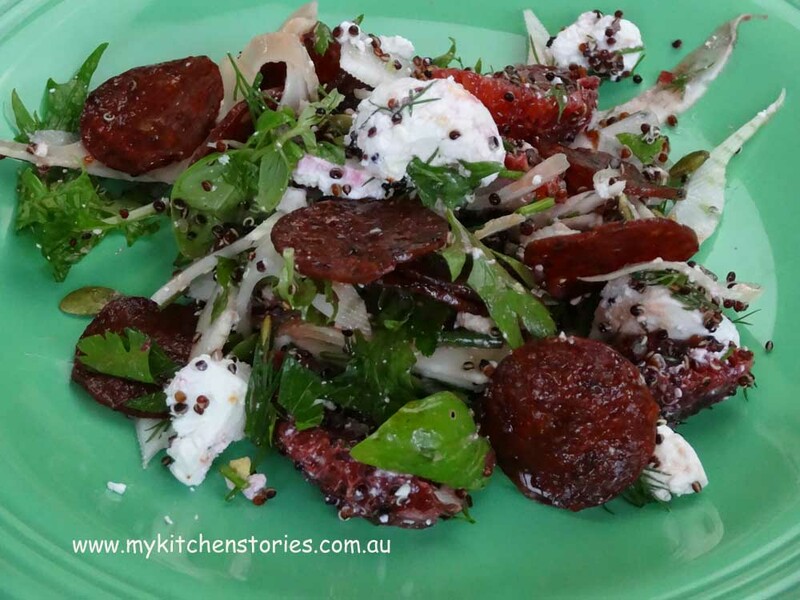 It makes this crispy crunchy Fennel, Blood Orange and Crispy Peperilli creation even better. Small Goods made with Olive Oil? The idea for these small goods originated in Greece, and after having great success they teamed up with Oliving by Hans in Australia. The traditional methods for producing charcuterie are applied. 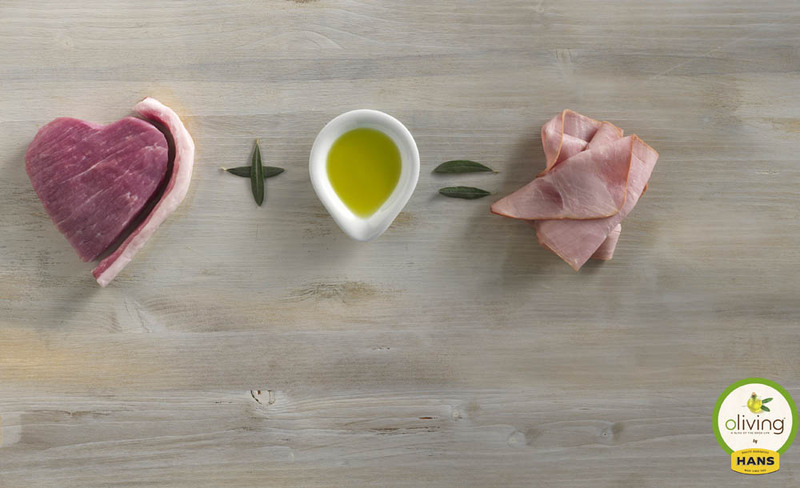 High quality meat is used as the base but some of the fat that is normally mixed in with the meat is omitted and Extra Virgin Olive Oil is added in it’s place. The meat and spices are mixed and left to mature in the usual way and the oil is naturally absorbed into the meat. There is no residue or olive oil taste, in fact the Peperilli I used had a nice sour matured flavour just the way it should. If you are hearing a little bit about Oliving by Hans this week, it’s because they got together with clever Marmot Inc. in Brisbane, Melbourne and Sydney to find a creative way to let people know about their new range of products. Guest chefs were invited to cook with the products and a range of bloggers specializing in recipe development and healthy food were invited to each event. Each city has a great video of their special event. Maureen@ Orgasmic chef has a link to each and a recipe using the low fat hotdogs. It’s a great way to meet fellow eaters and bloggers for us, and a fearless way to have potential critics try the products. There will be lots of ideas and also recipes for using these great tasing products. So far I am inspired by the creative recipes and photos from Sara, Amanda Peter and Sandra. Would you like to see what happened on a night at The Shirt Bar in Sydney amongst the men’s clothes, the adept barman with Lilac hair and the Gin, Lime and Black pepper cocktails?. We didn’t stop eating….or talking and all agreed that if this is low fat, then we approve. Here’s what happened to us. This Spicy Chilli Peperilli, sweet blood orange and crunchy aniseedy fennel is a delicious combination. 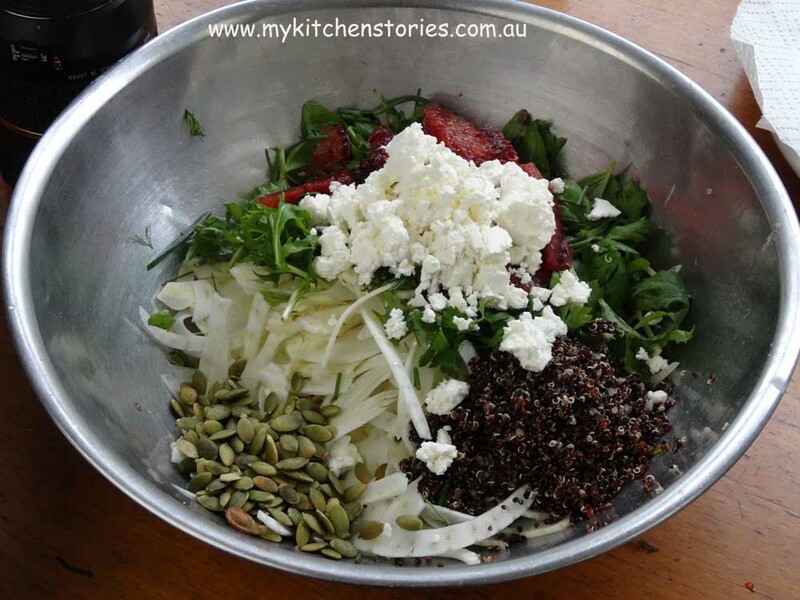 Shred the fennel and herbs and put them into a bowl with the quinoa, feta, seeds and chives. Set aside. 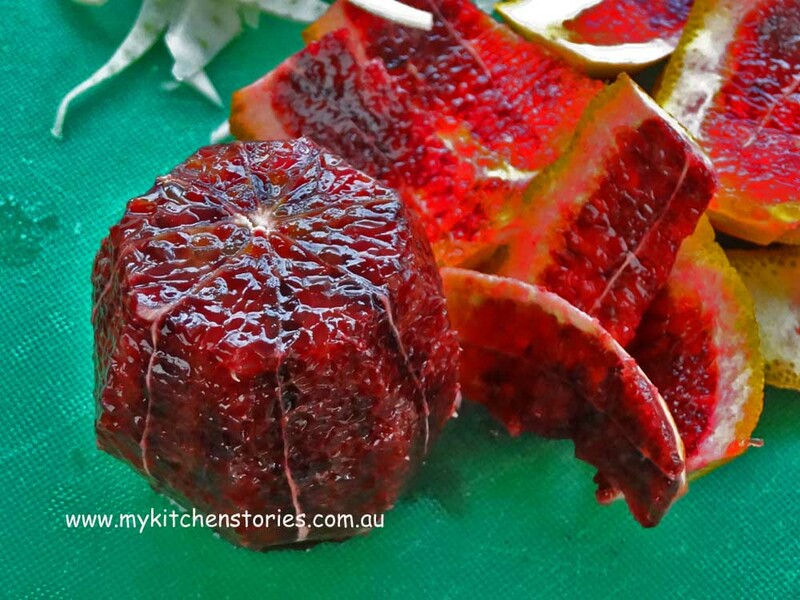 Peel the two blood oranges taking off all of the pith. Hold them over a bowl while segmenting. Do this by holding the orange in one hand and cutting between the membranes of the orange with a pairing knife and removing a segment, leaving it without skin or conective tissue. Squeeze the skeletons over a bowl catching any liquid. Add the orange to the salad. You will need about 1/4 cup of juice. If you don't have enough add a bit of orange or apple juice. Put the juice into a bowl with the mustard, salt, pepper and olive oil and mix well. Taste . If you think it needs a little acid or a zesty spike add a teaspoon at a time of balsamic or lemon juice until you are happy with it. When ready to serve add the dressing to the salad and toss well or serve on the side. This post was sponsored Oliving By Hans and products were supplied to me to create recipes with. Oliving by Hans products are available in selected Coles, Woolworths and IGA stores. I’d love to win this #olivingbyhans giveaway; thanks so much for the opportunity! This looks like a delicious salad. 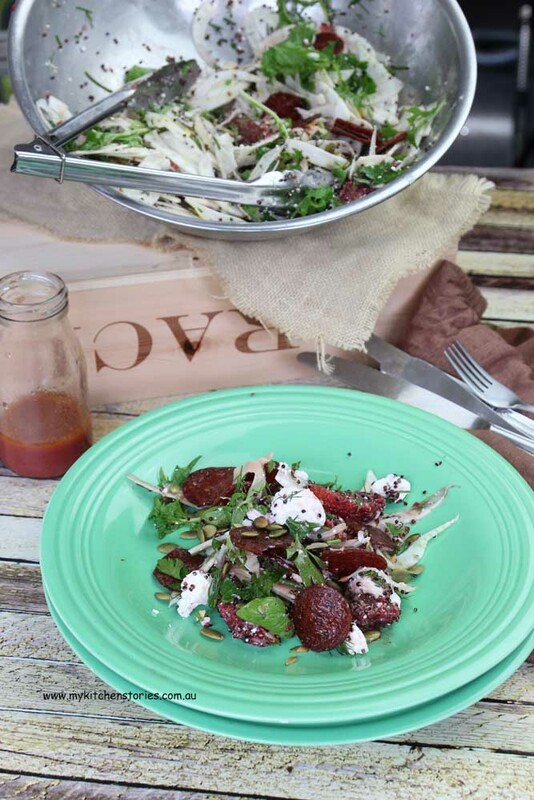 I love crispy salami, but would never think of putting it in a salad. Normally I’d use it in pasta. I’ll have to look out for the #OlivingByHans products. Such good food! I found Oliving foods at my local Coles deli today but none of the packaged ones. Peperilli is such a cute name! And any salad that comes with smallgoods gets my tick of approval! The salad looks so inviting and delicious with the flavour combo. Incredible looking salad, love this combination! Good to see fennel used fresh here, Tania. My family never cooked it but served it as one would crudités. 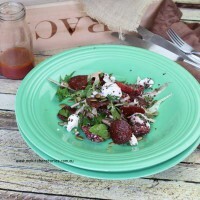 It sure would give this salad a good crunch, as well as play off the blood orange flavors. This salad would be a big hit around here. Debra recently posted..Did you know the newest National Monument is practically in my backyard? Thank you for visiting Debra and taking the time to comment. 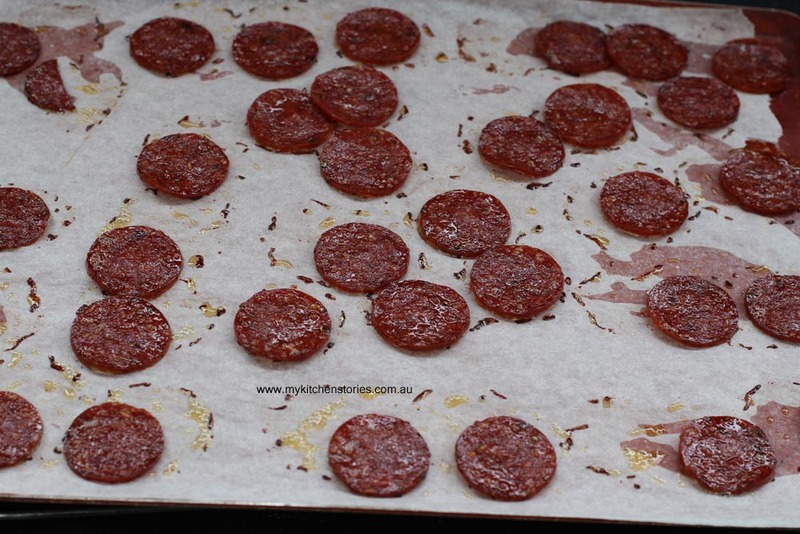 Why oh why is salami so tasty? Id quite happily be vegetarian forever…but then there is salami. cityhippyfarmgirl recently posted..the art of conversation…where on earth has it gone? Wow #Olivingbyhans looks so good and your recipes are the best! I am inspired! 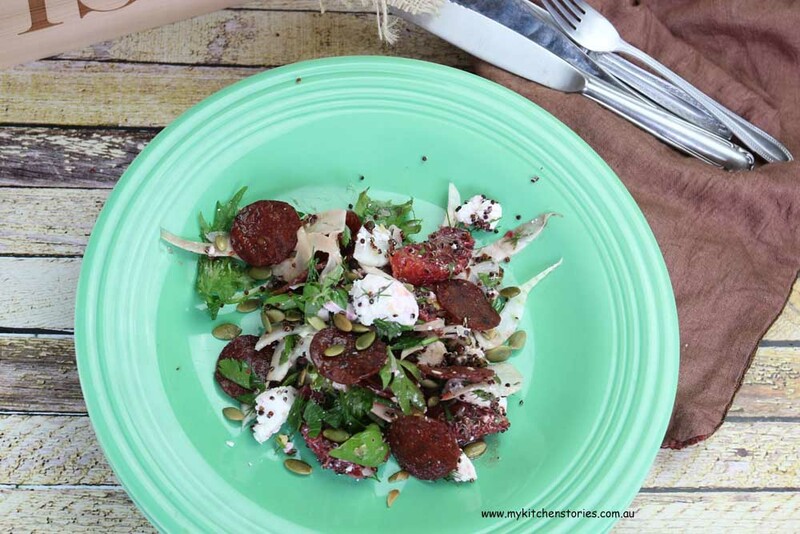 That looks bloody delicious, what an amazing salad @mykitchenstories. Gorgeous styling as always. #Olivingbyhans. What a great idea smallgoods with Oil. This salad looks delicious! 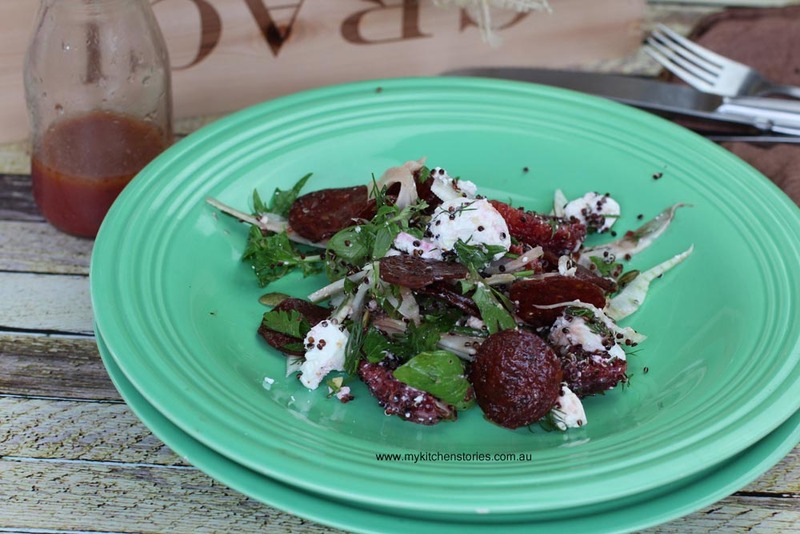 I’ve been looking for a salad that incorporates fennel, I think this will do just perfectly.